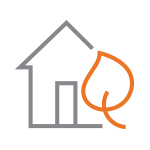 Gas Appliance Safety Tips | Spire Inc. Supporting you in your day-to-day lives is what gives us energy. That’s why we’re not just energy experts, we’re safety experts, too. We want you to be completely safe as you shower, finish the laundry, and feed your family their favorite meal. Natural gas smells like rotten eggs. If you smell this, leave the area immediately and call Spire. We’ll respond quickly every time. Kitchen fires can happen in an instant, but a little preparation can make sure they don’t happen to you. Don’t wear loose clothing, spray cooking oil, or use paper towels near an open flame. And don’t leave food packaging on or near the stove. We know you want to keep your children safe. So do we. Children should never try to light natural gas fireplace logs. No one should play with the valves that turn the logs on and off and the gas log valve key should be stored in a safe place that’s out of reach for children. Gas logs are great for warming your room. Just make sure the chimney flue is open before lighting them, unless you have ventless style logs. Space heaters can help keep a room warm, but children should not light them. As with open flames, avoid loose clothing, paper towels, or other flammable materials. And never attempt to dry your clothes over a gas space heater. Curtains and drapes can easily catch fire so don’t take any chances. Keep them away from any kind of natural gas flame including cooking ranges, space heaters, or similar equipment. Never use the flames from a gas range to heat a room or dry your clothes. Safety is a core value at Spire. We take this responsibility seriously, so we want to inform you about a recent federal regulation concerning gas pipeline safety. You have the option to request installation of an Excess Flow Valve (EFV) on your existing gas service line. An EFV is a mechanical safety device installed near the gas main on the natural gas service line to your meter. In the event of a service line break, this device would activate to minimize the flow of gas. For example, if an excavator accidentally digs into your gas service line in your yard, the EFV would automatically minimize the flow of gas at the location of the damage. To install an EFV, an excavation is required where the existing natural gas service line connects to the natural gas main. Your gas service would also be interrupted for a short period of time while we install this equipment. Many customers already have an EFV installed on their existing service line. To find out if you have one, look at your gas meter and see if there is a small tag attached to the meter setup that identifies an EFV being on the service. EFVs will not operate on all gas service lines, however. If you are interested, we will need to do an analysis to determine if one is possible for your service. If your service is determine to be eligible and you choose to add the optional equipment, you will be charged a one-time fee to cover the cost of the installation. Our goal is to keep the cost of this installation as low as possible. The minimum cost is expected to be $1200. Costs may increase with restoration efforts, including paving and reseeding grassy areas. To learn more, please give us a call.